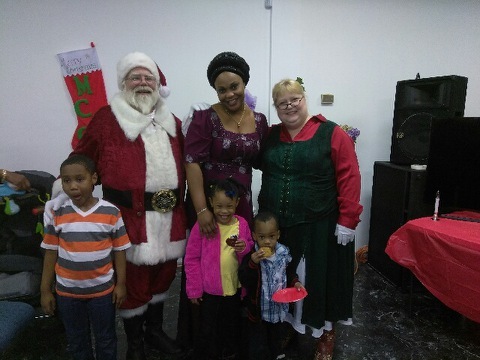 Play Santa and Mrs Claus at parties, breakfasts, daycares, bedtime story, special gifts. Read the Luke 2 Christmas Story, "The Night Before Christmas" or tell the story of the Candy Cane, bake/decorate cookies with Mrs Claus. Most anything festive for the season with Santa and/or Mrs Claus. Planning a Wedding? Santa Doc is also an ordained pastor and he can perform your ceremony. Couldn’t be happier with Santa and Mrs.Claus! The kids and adults loved them!! Thank you! We had a lot of fun with you and your family. 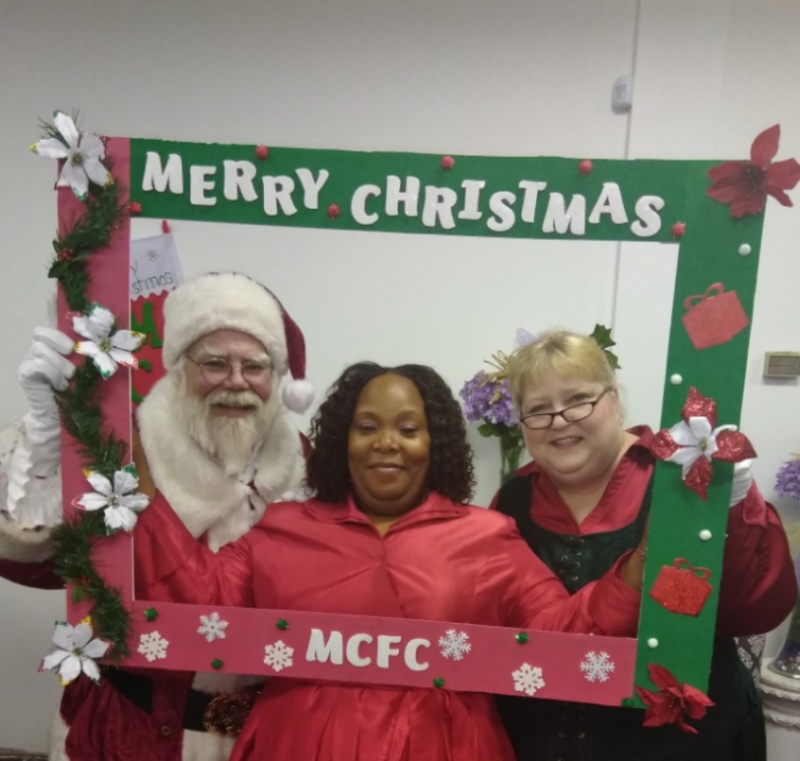 Santa Claus and Mrs. Claus arrived ahead of schedule, and were so sweet. They were extremely catering to a few special needs, and had the cutest skit. Would highly recommend them both, and plan on using them again. Thank you so much. We had a blast also. 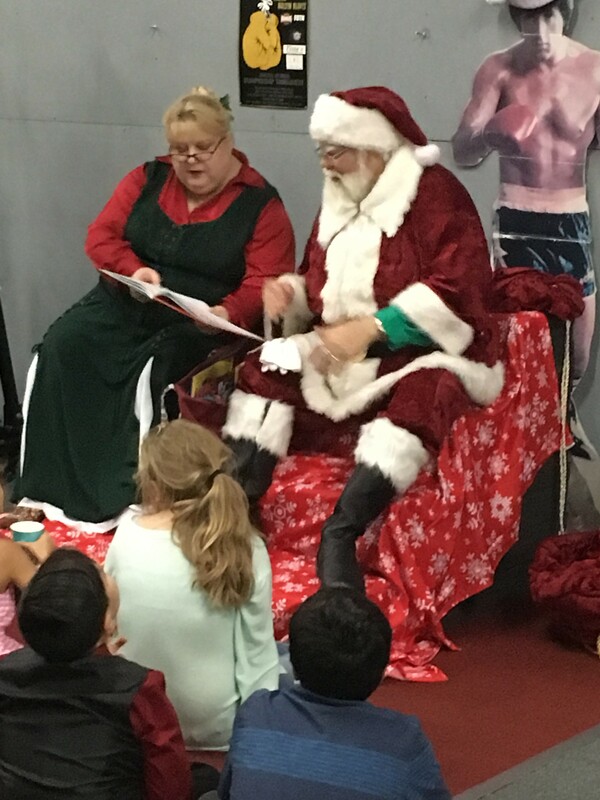 Santa Doc and Mrs. Claus were truly wonderful! I cannot wait to book them for years ahead! Thank you! We had so much fun. 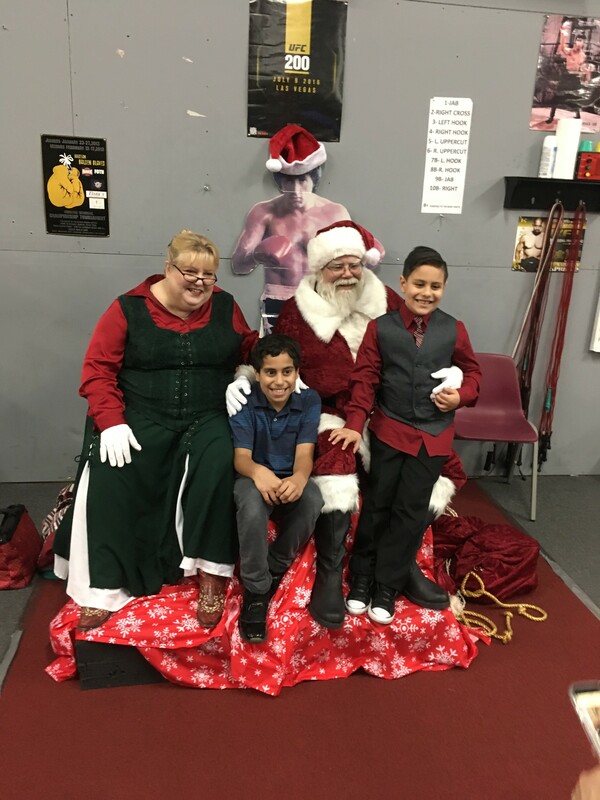 Santa Doc and Mrs Santa added so much to our family holiday party. The kids as the grownups loved their stories and songs! They are a delight! Thank you so much we had a great time and loved your grand childrrn. Santa and Mrs. Claus did such an amazing job. They came to our home on Christmas Eve during a family party. They read stories, sang songs, and were really entertaining- lots of laughs from the kids and adults alike. Honestly, just the perk of getting to take all the pictures you want without a crowd waiting in line for their turn at the mall makes the visit worth it. It's obvious they love what they do, and have true talent for making spirits bright! I can't recommend them enough. Thank you so much. We love spreading the Christmas spirit. 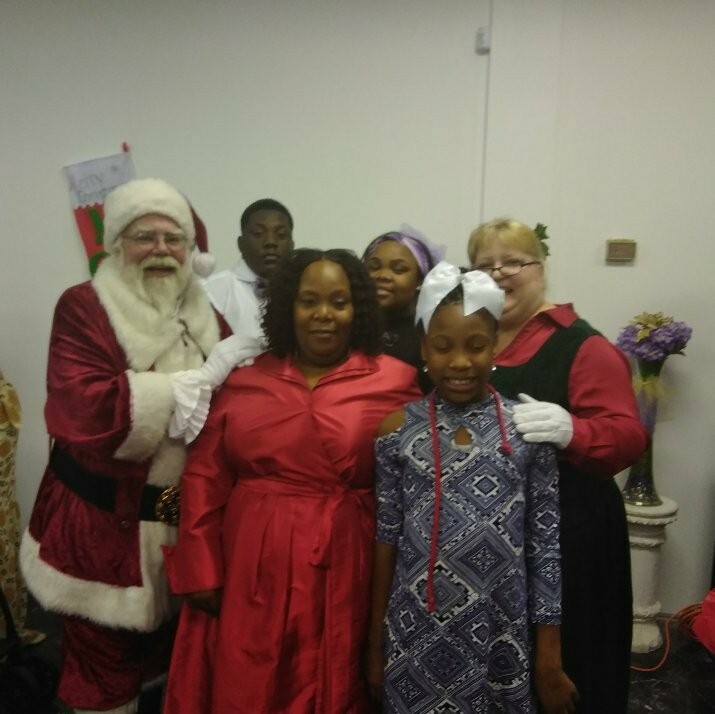 This is our 2nd year having Santa Doc and Mrs. Claus at our event and as always they did not disappoint. We are already booked for next year!! GREAT SANTA - 2 for 1! We LOved this Santa and Mrs Clause. Really easy to work with! We've had some Santa's in the past that request fans, certain chairs, etc. This couple were just so nice and pleasant! Kids and Families loved them! Thank you so much we really enjoyed ourselves. 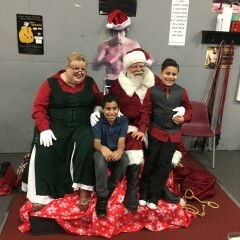 We had a great experience with Santa. Performed our wedding to our delight. 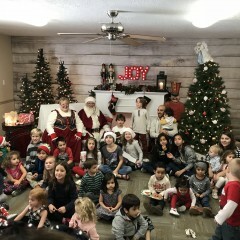 All guests were thrilled to see Santa. 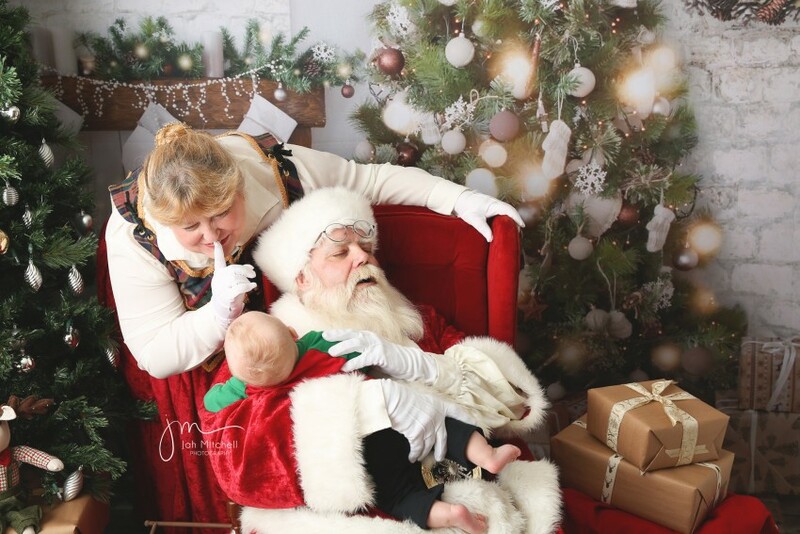 He and Mrs Claus are absolute professionals at their jobs. Went around the room so everyone had pictures taken with both. Two of the nicest people you will ever meet. Highly recommended for any event!!! 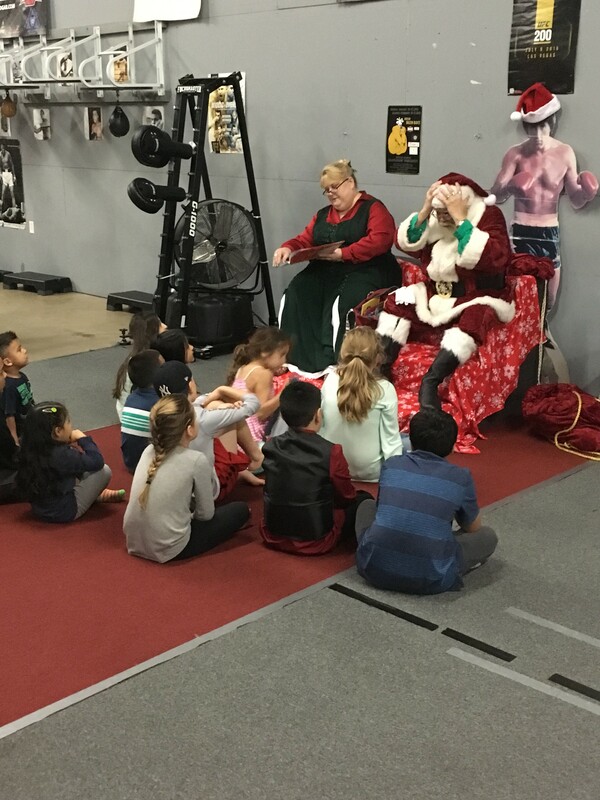 Santa and Mrs. Claus were on time and very good with all of the kiddos! 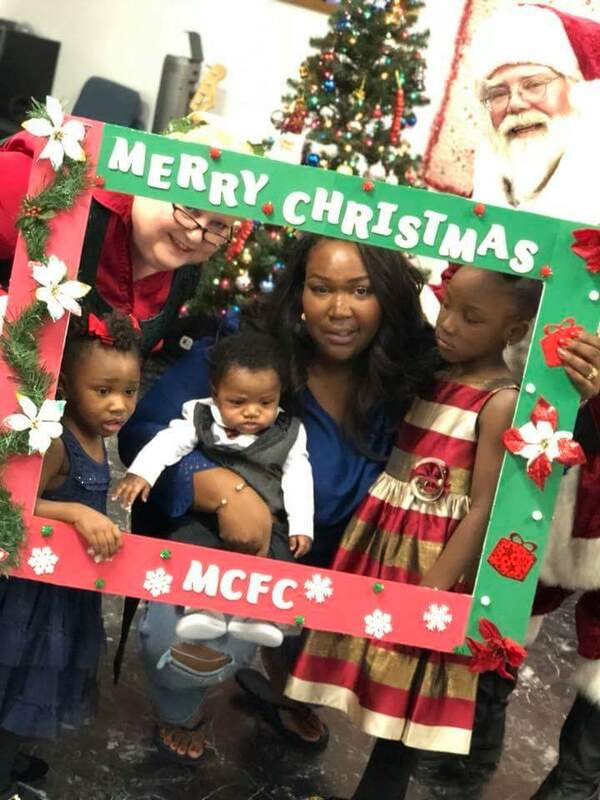 They bring a bag so that you can put some gifts in it ahead of time, which would have been magical and very engaging for the kids, I think - we'll do this if we have an event another year when we know what each child wants/needs. I provided some small items for them to hand out to each child after their visit and photo, which was a hit, it seems. 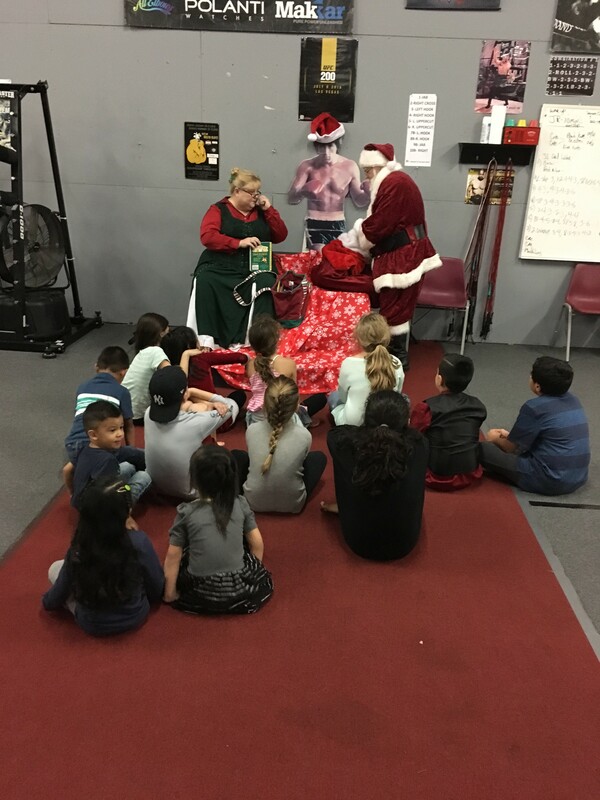 They also volunteered to read a story, and Mrs. Claus kept at least a few of the kiddos entertained with the Legend of the Candy Cane, which was a nice touch for the Christian audience. (I let them know that this would be appropriate, but they have others in their bag of tricks as well!) Great experience! Thank you both for squeezing us in this busy holiday season! Merry Christmas! Really enjoyed his time one on one time with the kids. Thank you so much. We really enjoyed our time with your kids. I think I already sent a review but I’m sending again just in case it wasn’t received because Santa Doc and Mrs Claus were the absolute best!!!! We loved them and we were Definitely blessedby them. 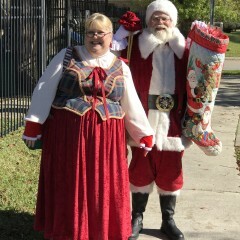 Best Santa & Mrs.Claus in Houston! 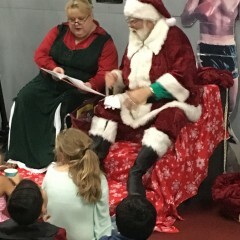 Santa Doc & Mrs.Clause are amazing! Prompt, professional, wonderful to work with - the children and parents were so impressed. Everyone had a great time. Thank you so much. We also enjoyed working with you, we make a great team. 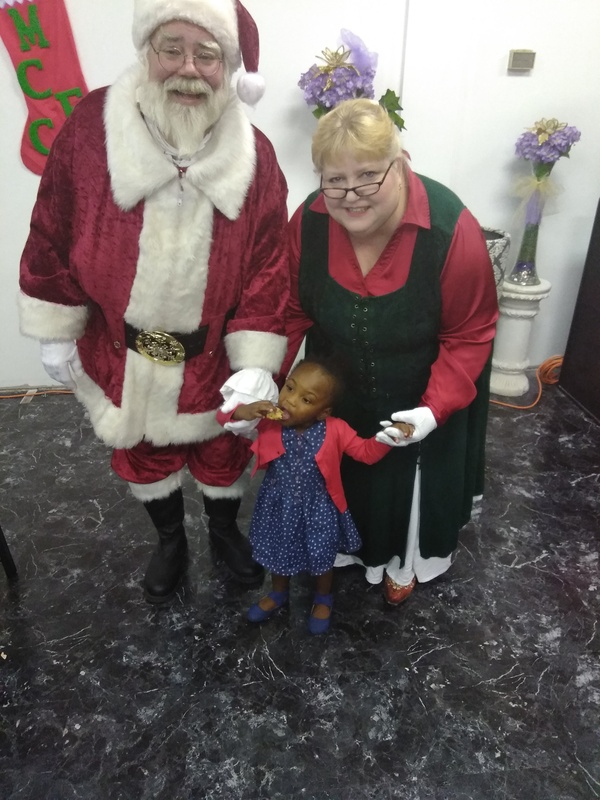 Santa Claus and Mrs. Claus were delightful. They had great interaction with the children and parents. We will defitnetly invite them next year! It was a dream coming through for the entire family. A family of three just made my family's Christmas wonderful. 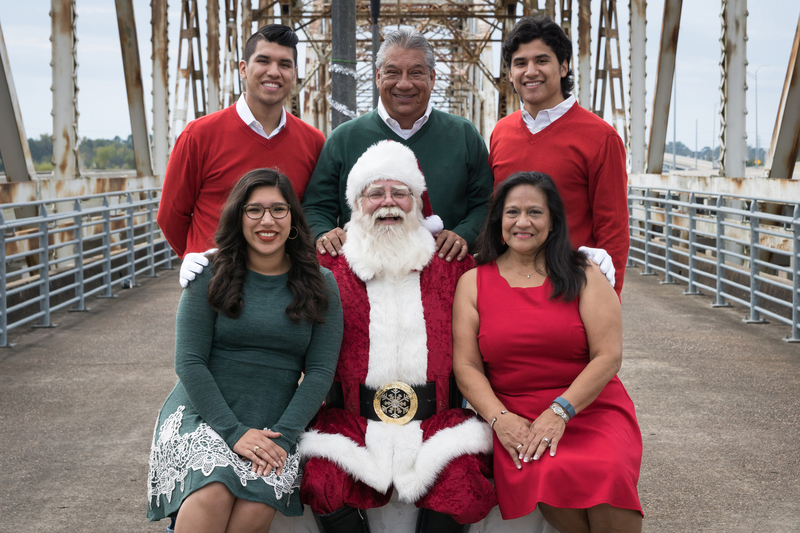 Thank you, we were honored to be a part of your family's Christmas. 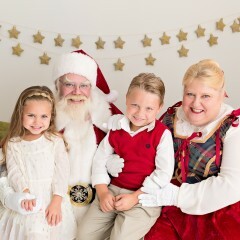 Santa Doc & Mrs. Claus are Magic!!! 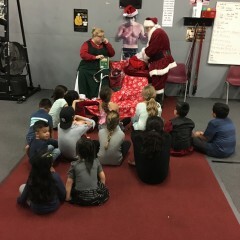 Santa Doc was wonderful and engaging!!! Mrs. Claus read many wonderful Christmas stories which we ALL enjoyed!!! 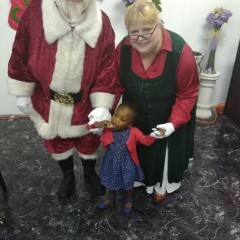 Both Santa & Mrs. Claus were extra special!!! Thank you for letting us be a part of your family's Christmas. 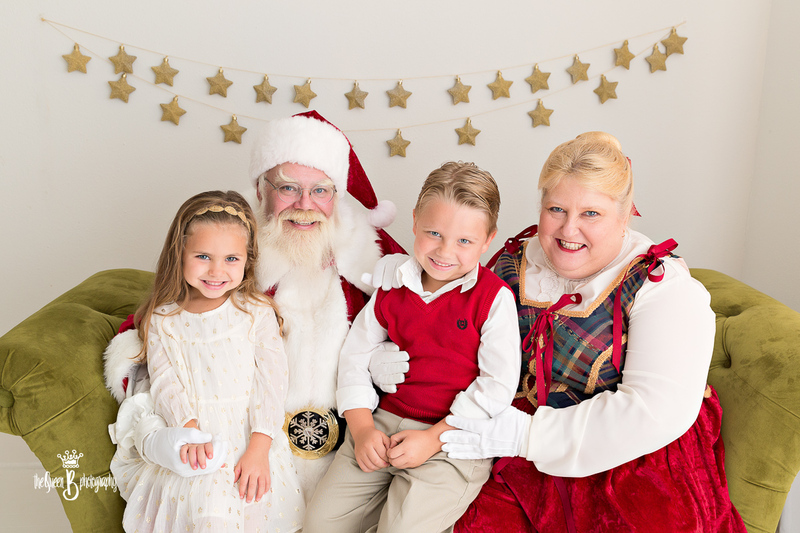 Santa & Mrs. Claus were a true pleasure. Between reading Christmas stories & singing songs, the kids were inthralled. I will definitely be using Santa Doc again next year!! 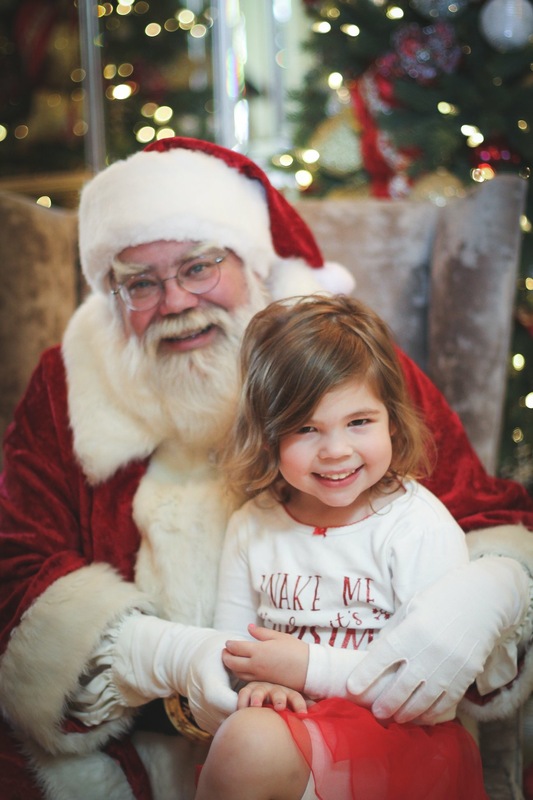 Santa and Mrs. Claus...we loved you! Wonderful! Exceeded our expectations and we are already planning to book again for next Christmas! Loved by all...little kids and the big kids! Thank you, we had so much fun with you and your family. Santa really liked your cookies too! 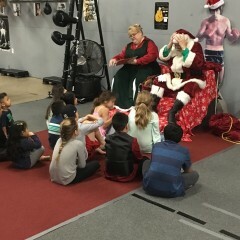 Santa Doc was easy to work with and friendly with the kids. Unfortunately their costumes smelled musty, the "elf" was a bit socially awkward and in the way and that definitely impacted our experience. He was great at communication prior to the event. A very nice guy but we will likely not rebook. I apologize, we try to give the very best Santa experience out there. I was very surprised by the review. After the Pearland half of the gig, the manager there told us to please make sure that I leave my information with the League City site so they could rebook. The lady at League City said she loved what we were doing. 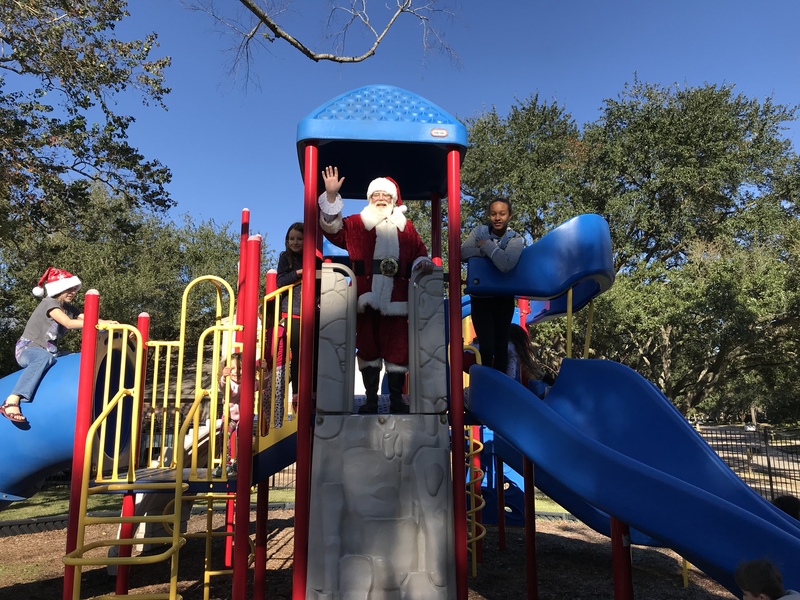 As for our elf, at the League City site he was engaging a little boy who was in the corner and was not engaging with Santa; trying to get him comfortable with Santa. 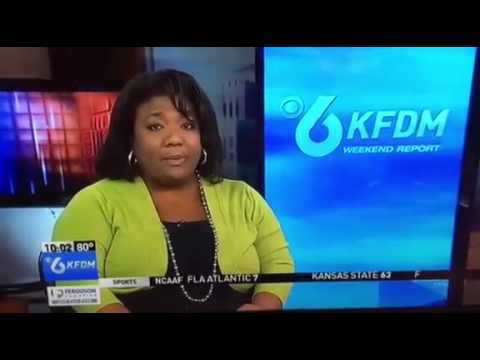 He thought he was impacting the experience positively, not to the negative. As for the musty smell all I can figure is we picked up something when we stopped for lunch in between the two sites which I apologize for and we will try to be very careful in the future. 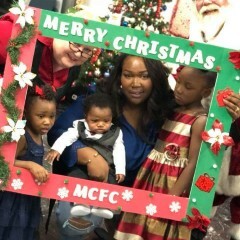 Santa was the best Santa we have had!!! If you have an event book him! Santa Doc was very professional and easy to work with. I would definitely book him again! 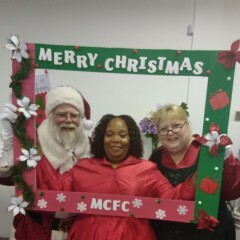 Jolly Santa & Mrs. Claus! Santa was wonderful! 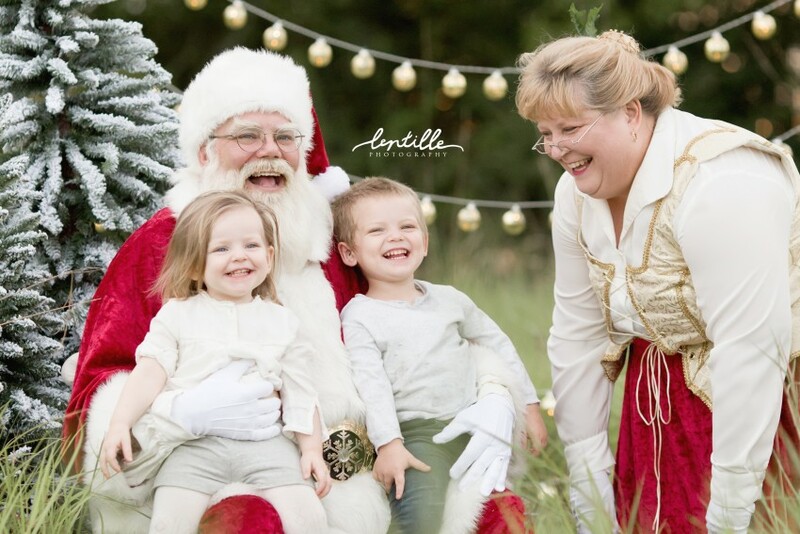 Our grandchildren couldn't get enough of him & Mrs. Claus! Mrs. Claus was an especially good reader--we loved listening to her Christmas stories! This was the highlight of our party, Santa even played baseball in the back yard! Santa doc is the best! Thank you we had a lot of fun. I loved working with Brad. He was always on time, was wonderful with the children, and made my event exactly what I had envisioned. I'm looking forward to working with him for many years to come. Santa Doc was fabulous! The ladies at our luncheon really enjoyed him being there, and everyone wanted to have their picture with him! The "real" Santa for sure! Santa was amazing! The way he responded to each child was incredible. For any child who doubted his reality was met with an answer that was perfect! 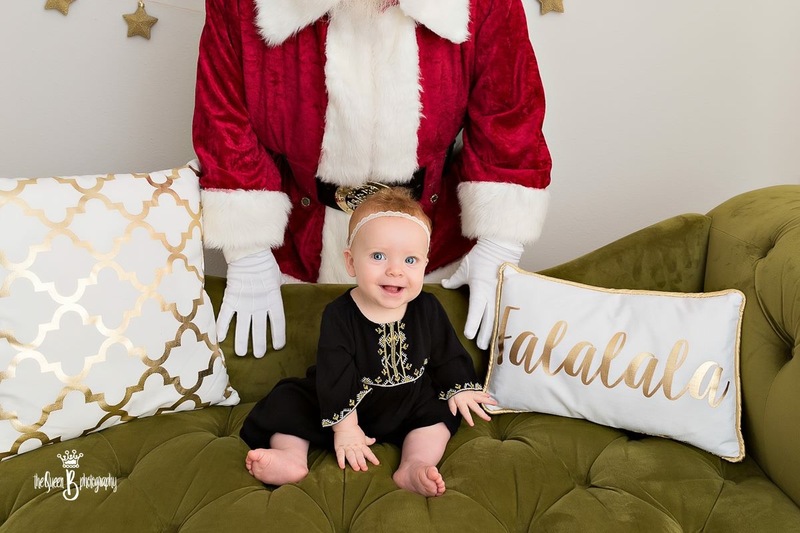 We had a photo shoot scheduled and wanted Santa in our pictures. Couldn't be happier with him or his outgoing personality. 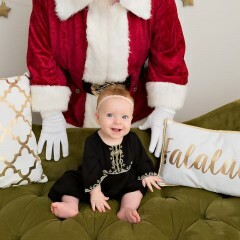 Would recommend this site and this perfect Santa to anyone looking for a Santa for any occasion be it for pictures or parties. Thank you, we had so much fun with you and your family. Was out of this world.kids had lots of fun with them. He's great with kids. The kids like and enjoyed him. I like to have Mrs Claus in the sessions as well. Great teamwork! Love it. Thank you so much much we had fun most of the kids were really excited to see me that makes a great day. He was very professional and nice. We are very thankful that he could perform our ceremony. Awesome Santa for family Christmas. Great with kids & adults! Thank you so much we enjoyed it. It was a great experience everything when how I expect it.kids have a lot of fun!! Santa Doc and Mrs Clause were great really good with my grandkids. 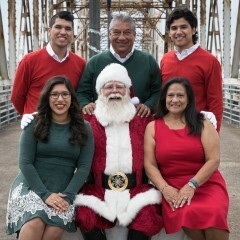 Made our family Christmas an extra special event. Everyone was impressed with having both mr & Mrs Claus and his number 1 elf! The kids loved it and they are all very sweet. They are part of the family now! Thank you for having us! We enjoyed ourselves. The like what they do. They interact with the great wonderfully. Thank you, we had a blast! 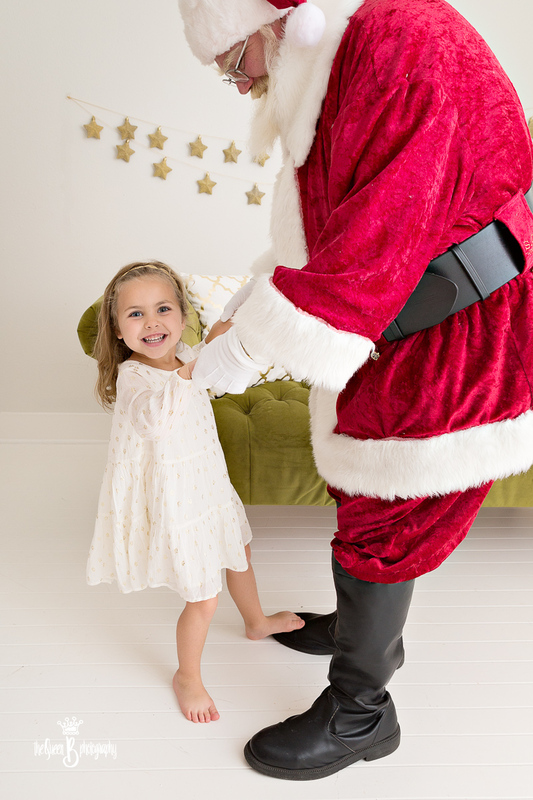 Easy to book, easy to work with and is the perfect Santa. 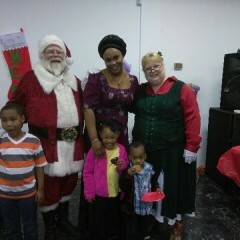 He even brought Mrs. Claus! Highly recommend! Thank you, we enjoyed working with you. In keeping with the Santa Claus Legend, Santa Doc and Mrs Claus do not do Adult Rated Parties or any activity that could not be performed in front of a 5 year old child, specifically, events that serve Adult Beverages. Santa will carry in only one sack of toys no larger than a 30 gallon trash bag and weighing no greater than 50 pounds total. Santa suggests one toy per child. Commercial, Public, Private and Charity Events / Home, Office, School, Hospital and Nursing Home Visits / Parades / Tree-Lightings / Churches / Photo Shoots / Advertising / Promotions / School, Company and Private Parties / Breakfast - Brunch With Santa / Cookies and Milk with Santa / Casual Claus / Story Time / Speaking Engagements / Special Christmas Eve "Tuck in Service"
Mrs Claus usually joins Santa at his events, but she is also available separately for Story time / Baking - Decorating Cookies with Mrs Claus. 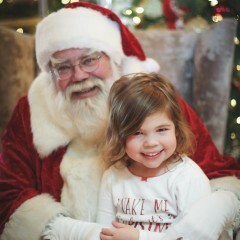 Please ask if she will be joining Santa at your event. 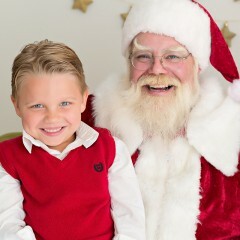 My personal appearance and love of children have allowed me to enjoy the role of Santa for over 20 years. 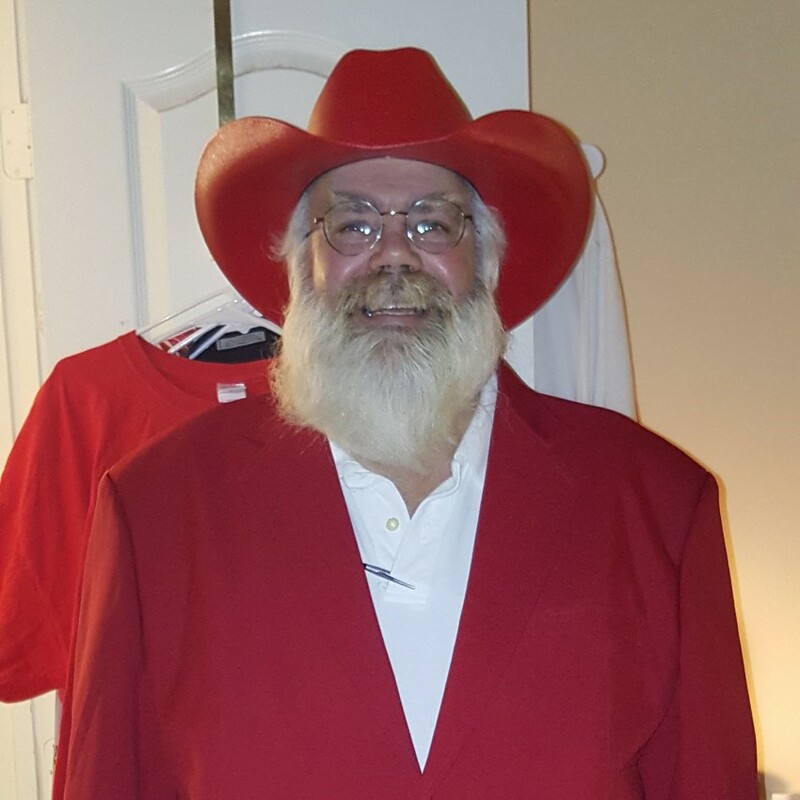 Member of Lone Star Santas. Real Beard, Real Belly, Real Custom-Made Red Suits, Real Smiles, Real Christmas Spirit. Follower of the Santa Claus Oath. Current Background check, non-drinker and non-smoker. Safe, reliable, and insured. Available Year-Round in Casual Claus or traditional Claus wear. 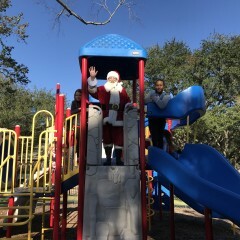 During "Off Season" I enjoy my role as "Santa on Vacation" interacting with children of all ages. 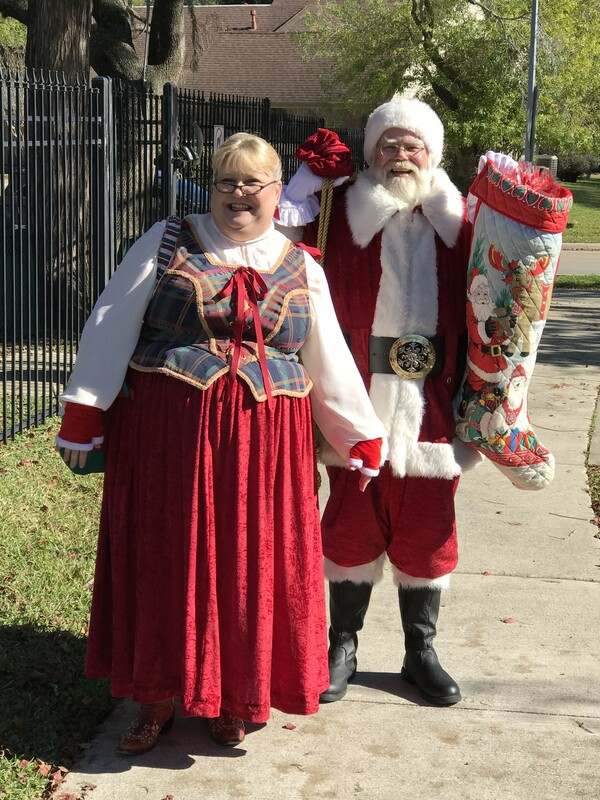 Santa Doc is an ordained pastor and both Santa Doc and Mrs. Claus are trained Chaplains for Texas Baptist Men's Disaster Relief. Due to the insulating nature of Santa's traditional outfits, it is necessary that he have periodic breaks as he may request or ten minutes after each full hour of work. Cool water should be available for Santa to drink. Performance location must be cool, comfortable, and sheltered from the elements, we recommend 65 - 70 degrees. The host / event planner will provide a chair for Santa to sit in. SANTA CANOT SIT ON FLOOR OR LOW CHAIR. Host / event planner to provide reasonable hospitality and CLOSE IN PARKING. Host / event planner to provide assistants to help with controlling families and children. 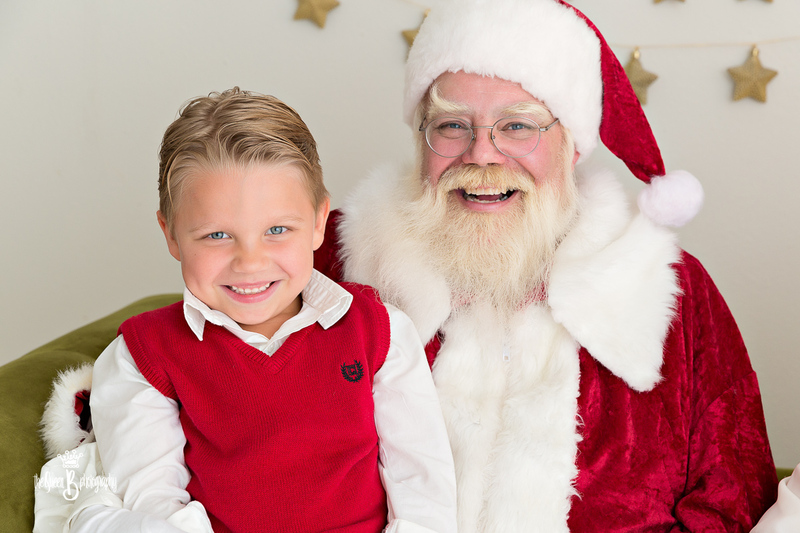 Host / event planner to provide favors for Santa to hand out to children. 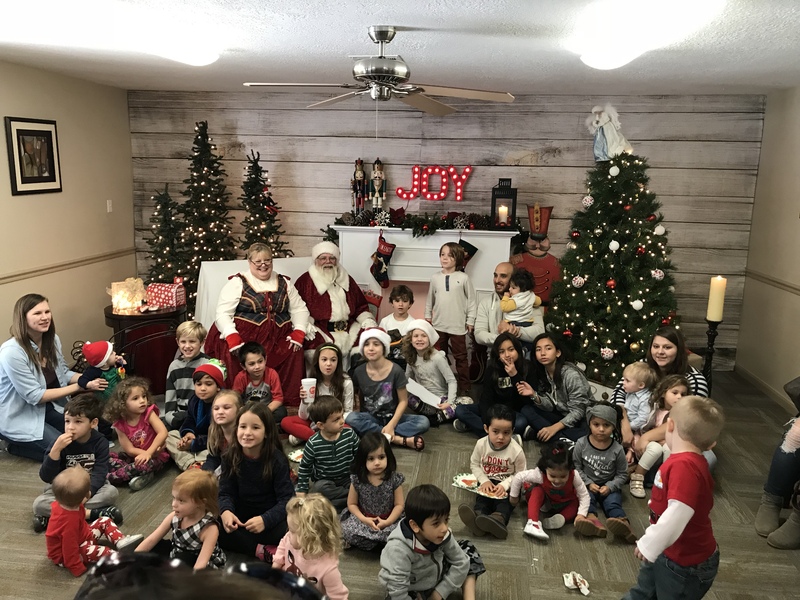 Host / event planner agrees to be resposible for harm, loss, or damage of any kind to Santa's person or property due to negligence while located at the place of the event. The person signing for the host / event planner agrees to be personally, jointly and severally liable for the terms of this contract. Any additional terms are attached and considered part of the contract. I will seek knowledge to be well versed in the mysteries of bringing Christmas cheer and goodwill to all the people that I encounter in my journeys and travels. I understand that the true and only gift I can give, as Santa, is me. I asknowledge that some of the requests I will hear will be difficult and sad. I know in these difficulties there lays an opportunity to bring a spirit of warmth, understanding and compassion. I pledge myself to these principles as a descendent of St. Nicholas the gift giver or Myra.